Pallavi Fauzdar was recently honoured with the Global Woman of UP award. To say she deserved it would be an understatement. Pallavi has made it to the Limca Book of Records for being the first Indian woman to bike up to an altitude of over 18,000 feet. Pallavi resides in Noida with her husband, a major in the Indian Army, and two children. "I have been passionate about biking since my childhood, and I routinely travel by bike," she said. "And it was my good fortune that no one objected to me pursuing my passion." On the contrary, she has always found encouragement from family and friends. 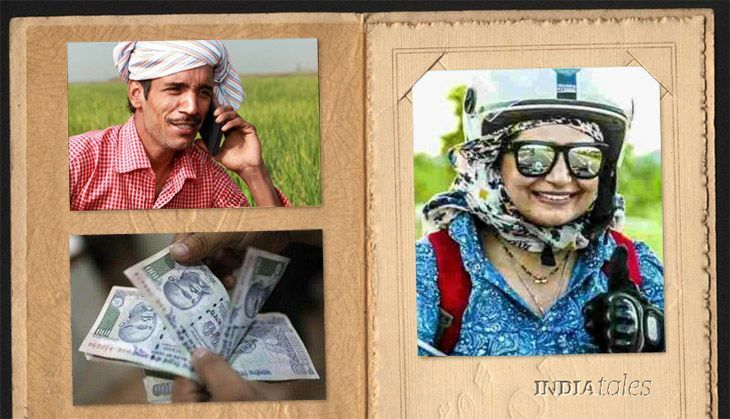 The adventure that earned her the record began on 20 September 2015 from India Gate, Delhi. She rode up to Badrinath, and further up to Mana, the last village on India's border with China. From Mana, she rode another 55 km to Mana Pass, where she camped at an altitude of 18,497 feet. The journey took her six hours. She returned to Delhi on 27 September. Now, Pallavi says, she has her "eyes set on the Guinness Book record". Befriending an American on Facebook has proved quite costly for a young farmer from Narsinghpur, Madhya Pradesh - it cost him over Rs 38 lakh to be exact. According to the police, Madanlal Mali has complained that he "met an American man named Michael Jackson on Facebook and became friends with him". One day, while they were chatting on Facebook, the "American casually asked Madanlal to buy and send him a variety of seeds which was only available in India called Obama seeds". For this, he promised Madanlal a commission of 20%. "When he asked where he could find this variety of seeds, his friend gave him the number of one Vandana Kumari," the police said. Madanlal called Vandana and had her courier him a "sample of two 50-gram packets of Obama seeds" for Rs 86,000. "He took photographs of the packets and sent them to his friend. Michael approved the samples and ordered 50 packets," the police said. "Then, as advised by Vandana, he deposited Rs 37 lakh 40 thousand in various bank accounts. And after sometime, he received 47 packets of seeds. But when he opened the packets, he found some contained inferior seeds while the others contained trash." He tried contacting "Michael" and "Vandana", but both their numbers were switched off. That's when he realised he had been scammed and registered a case. The police said they have started investigations. India has a population of more than 120 crore, but only about 20,000 have wealth exceeding Rs 1 crore, according to data released by the Income Tax department. This number, tax experts say, is nowhere near the real number, not least because merely 4% of Indians file their tax returns. According to the IT department's data, just under 20,000 tax payers showed income of Rs 1 crore or more in 2012-13. In the 2014-15 fiscal, of the nearly 3.1 crore people who filed tax returns, only about 20 lakh earned between 5.5 lakh and Rs 9.5 lakh, while about a lakh people disclosed incomes of Rs 10 lakh or above. In terms of direct tax collection, Maharashtra led the states with Rs 2.77 lakh crore in 2014-15, and was followed by Delhi. The total national tax collection for the fiscal was Rs 6.96 lakh crore.